Home Top Best Rifle Scope Reviews. Why it is the key for hunter, shooter? 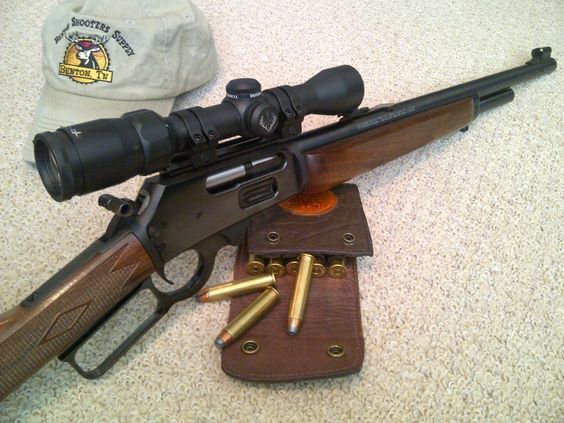 Top Best Rifle Scope Reviews. Why it is the key for hunter, shooter? If you are an enthusiastic shooter or an expert hunter, in both scenarios you need the best rifle scope for your rifle. With so many brands and varieties of scopes available in the market, it’s really tricky to pick the one fulfilling all your shooting endeavor requirements. The best possible way is to ask any of your friends who have extensive experience of selecting and using the rifle scopes. The next useful approach is to take a look at rifle scope reviews which you can easily find out online. Amazon is pretty good source in this regard where you can get innumerable yet reliable reviews. However, it’s only you who knows what rifle scope you actually need. You must understand that the quality of the scope is as important as rifle itself and sometimes more important than that. Poor quality scope can lead to trouble hitting the targets even if you have mounted it on the best rifle. Game will be little intimidating if you are novice and don’t have much familiarity with the rifle scopes from its types to uses. What Rifle Scope Should I Get? Though I have years of hunting experience but every time when I need to upgrade my equipment, I think about whether I am getting something beneficial or just an item of no value. For accurate target acquisition and precise shooting, you must bear in mind the intended use of scope before deciding to buy any. ‘For what purpose you need a scope?’is actual question I ask myself when selecting a rifle or the scope. You should also do the same and remember that it’s the scope’s use that in turn defines what magnification and field of view can work best for you. This will not only save your money but also help you in getting exactly the right scope that fits your anticipated shooting needs. For instance, a target shooter and an animal hunter will definitely need different types of rifle scopes. Let’s look into different scopes in reference to their potential use. 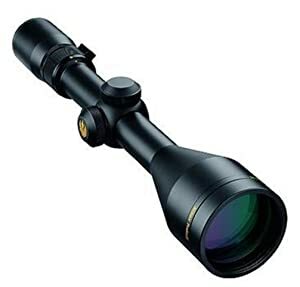 These scopes are best suitable for shooting at short distances and low visibility areas. This usually happens in heavy woods or thick brushes where you cannot see easily beyond 150 yards. When your average shot range is about 100 yards then the best rifle scope will be of short range with 2-2.5X magnification. Fixed power as well as the 1-4X variables also work pretty well for hunting at short to medium distances. I prefer Nikon ProStaff 3-9x 40 Black Matte (BDC) for my short range target shooting. I love the normal sight image provided by BDC reticle of this scope and the most consistent eye-relief that I never experienced before. It fits best with my heavy recoil firearms. 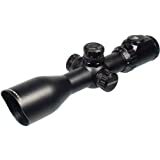 These rifle scopes suit best for shooting and hunting at the distance range of 100 to 200 yards. Medium range and general purposes rifle scopes are used to shot targets at these distances. However, according to rifle scope reviews many medium range scopes also work nicely at distance of 300 yards. These work equally good with many of the common types of air rifles. From bear to deer hunters, these scopes with fixed 4X power are the most admirable. These amazingly do all that is required to be done by shooters. Commonly used magnification levels for these scopes include 2-7X, 2.8-8X and 3-9X. Usually mounted in low rings, medium range rifle scopes offer a wide field of view even at low power setting. For mid-range targeting, my choice is Barska 1-4×28 IR rifle scope mounted on my AR-15 rifle. Whenever you plan on hunting in open areas, you must opt for a long ranging scope.Usually mounted on long barrel rifles, these scopes help to make perfect shot at distances of 300 yards and above. 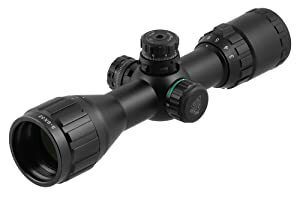 Providing the magnification models of 2.5-8x, 3-9x, 3-10x and even the 6x, these are the great scopes for varmint hunting though it’s not much common these days. When it comes to long range scopes, I have a preference in FSI Sniper 6-24x50mm Scope W front AO adjustment. 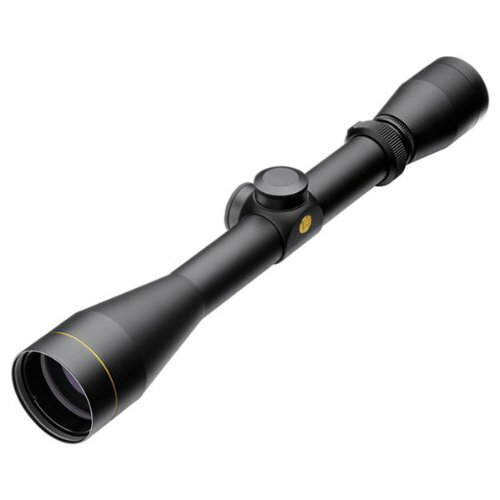 These scopes are the specialized optics that are made to be mounted forward of the receiver. It needs extended eye relief that will result in declining the field of view. Eventually, it will slow down the target acquisition for most of the shooters. Meant for action, these rifle scopes are intended for shooters who require a working rifle or fighting carbine and use the scout general-purpose rifle typically of .308 caliber. Out of all the best rifle scopes in the market, this Nikon ProStaff model comes in compact size and 3-9x magnification. It’s a mid-priced scope and typically used in hunting endeavors. With multi-coated optical system and consistent eye-relief, it’s best suitable for shooting in all lighting and weather conditions. According to Amazon’s rifle scope reviews, this Nikon made scope provides you the maximum brightness as well as the excellent light transmission up to 98 percent. It’s really true that as I used this scope I am very impressed of its flawless performance. Along with great flexibility, reliability and durability, its 3 to 9x magnification levels help in improving the shooting vision as you need. Control panel is extremely easy to use and you can make zero reset quickly. The constant and generous eye-relief of 3.6 inches will surely boost your confidence for precise targeting. Read Our Honest Review About It! It’s an awe-inspiring rifle scope with great clarity and durability. I used it on 308 and 338LM rifles and faced no problem at all even when I fired more than 400 rounds. From adjustments to focus, target and shot, it’sexceptionally better than I expected. It’s worth every penny that I spent to get it. It’s an excellent scope for what it was intended and very much easy to use, very accurate in providing the quick adjustments.Besides having crisp optics, mid-dot reticle and RGB illuminations, its ability to hold zero is simply outclass. It significantly works with 20x magnification even for long range shooting. This big and tough rifle scope gives you amazing zoom together with great lighting. You can easily mount it on your rifle. This black matte scope adds great beauty to the rifle. Its BDC reticle has see-through ballistic circles and this is what I like the most about this scope. After that its magnification power, spring-loaded adjustments for quick settings, consistent eye-relief of 3.7 inches, 4 to 12x power, multi-coated optics with 98% light transmission aspect make it a must-have. It’s really an awesome scope fully capable of giving you the best shooting results. I used it often for my open country hunting ventures. From dawn to dusk, it remains beneficial just like a good pal who never let you down and stands by your side in all diverse conditions and tricky situations. Over many of the costly brands out there, I firmly recommend you to invest in this scope and you will not regret your decision ever. One of the best scopes I ever owned is Leupold VX-I rifle scope that is extremely incredible in its class. Despite having smart and simple body, this scope provides me quality results whenever I use it in my shooting activities. I guarantee that you will not find better features and performance for such a low price in any other scope for AR-10 rifle platform in particular. Its standard multi-coated optics brilliantly delivers exceptional brightness, contrast and clarity. In addition to that, the micro-friction adjustment dials make your job to alter the windage and elevation settings more easy. I assure that you cannot go wrong with a well built and easy to sight in Leupold VX-I rifle scope. With smart revolutionary structure in solid black color, this scope delivers convenient and safe shooting. People often talk about variety of scopes because markets holds a wide range and many have been used by them. But, I just cannot resist beautifying my love ‘AK-47 rifle’ with UTG 3-9×32 Compact CQB Bug Buster AO RGB installation. For me no other rifle scope is that much reliable and durable as I found this one with emerald coated lenses delivering flair-free perfect view. The precision, the accuracy, and remarkable work it does under all-weather conditions is what makes it stand high amongst all others. It’s a must-have scope keeping you right on your target even if a bug is on hit. From dawn to dusk, it maintains the performance quality. 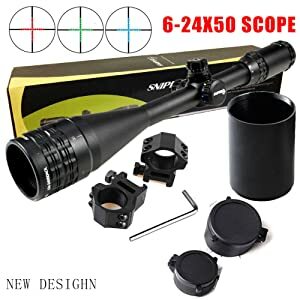 More or less all hunting styles, this scope brilliantly accommodates all haunting styles.It is indeed the best affordable gadget for adventurous and satisfactory shooting experience. Sighting in a rifle scope actually stands for scope’s alignment with your rifle to zero it. Its takes patience and time to sight-in a rifle scope accurately. But you must sight-in your scope before use if you want a truly precise shot. Let me tell you how a beginner can sight in a rifle scope properly with easy steps. Mount your scope on the rifle, fix it and screw up tightly. Your scope must be perfectly fit on the rifle. Select a firm base to shoot from. You can use a rifle rest, a bipod or sandbag for this. 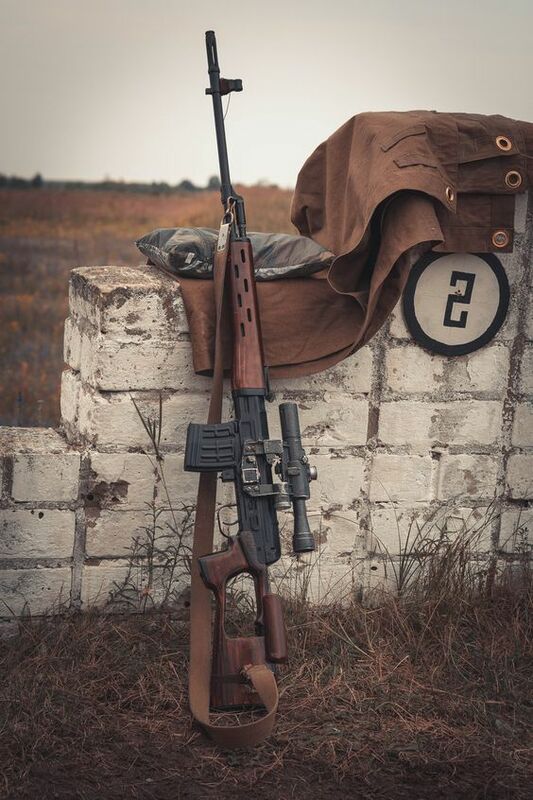 Make sure that none of the rifle’s parts is resting on hard surface. Now choose a safe place holding the target like a pellet trap together with safe surroundings (to avoid any harm in case you miss the first shot ). Set up the target ten yards away from your rifle in safe windless area. This distance is best for clear view of the target. Set the scope to maximum magnification. Focus the eye-piece until you get sharpest possible view of the target. Reset the elevation and windage turrets. Now load the pellet, aim it carefully at the center of the target and fire. Observe where the pellet hits the target,it’s almost certainly not in the center where you want. Hold the rifle firmly, look in scope and adjust the turrets until the crosshair are centered on the hole made by your fired pellet. Your rifle should not move by any means while making these adjustments. Now carefully move the rifle to aim at the center of the target again and fire. If you are close but not quite at center, just repeat the process until you hit exactly at the center of the target. If you are an expert, you can easily sight-in by setting target at 25 yards and then at 100 yards in the field. How to Clean Your Rifle Scope? For the best shooting accuracy and pleasure, you must keep your shooting gears clean especially the scope. The cleaning process is so simple and easy to do. Use eyeglass tissues to remove fingerprints and lubricants from lens. A mild soap solution and cotton swab can also be used for the same. Depending on the application, your investment on purchasing a remarkable rifle scope can be much more than the rifle itself. 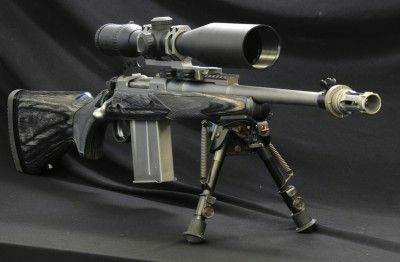 For the case of point, a rifle scope can cost you several thousand dollars for bench rest shooting.This is the point to weigh up extensively for buying the best rifle scope accommodating all your shooting needs. You are required to do much research and planning before buying any rifle scope. Getting hold of good scope is not daunting task if you carefully assess the available options in the market. 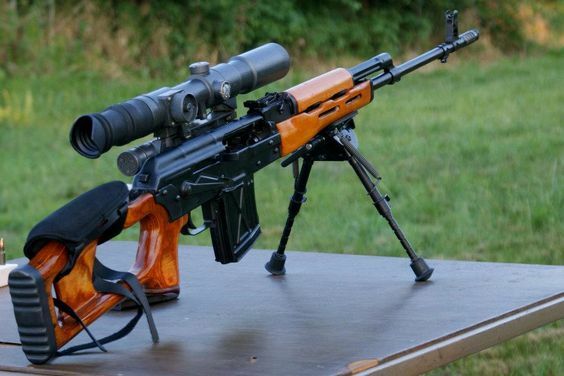 Rifle scope reviews from genuine users will certainly help you in this regard. Be a smart shooter and remember this thumb rule that cheap optics cannot be good and good optics cannot be cheaper. Don’t tire yourself, by comparing your preferred scopes you can get the best one without any budget collapse. what is the cheapest rifle scope that works?